1. A polygon is either drawn around a portion of the pattern or imported from another application. 2. Select the polygon. 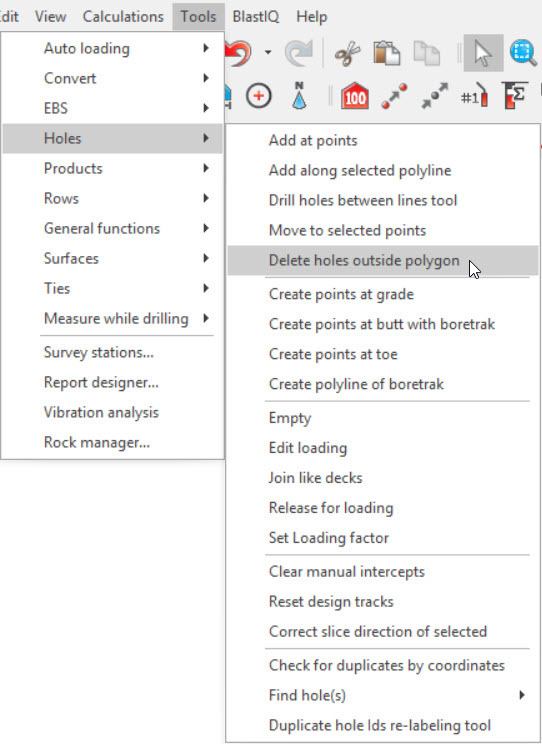 Go to Tools / Holes / Delete Holes Outside Polygon. 3. Holes that are visible (as set by the visibility and layer managers) and located outside the polygon will be deleted.